TRAVEL TALK: TURN IT UP! THAT’S MY SONG! Some people say they found themselves when they went away to college. I think I always knew who I was, but I did try out a few other personalities. One of them showed up the day I called Mom to tell her I was going to New Orleans with some friends. Mom threw a conniption fit, but I held on to my guns. I was going to New Orleans and since she wasn’t in Nacogdoches, there wasn’t much she could do about it. Only I didn’t go. I can’t remember what kind of teen-aged drama played out to keep me in my dorm room, but I do remember pouting all weekend. I also remember wanting to call Mom and complain to her, but I couldn’t because I was punishing her. Aren’t we silly sometimes? Were I a psychologist, I would probably expound on why Mom chose Louisana that year for the summer vacation, but I’m just a travel blogger, so I’ll leave it to your speculation. Choosing hot, humid August for traveling probably had a lot to do with my summer job. The big news was that Aunt Edie was going with us. Poor Aunt Edie was stuck in the back seat with the two Kool-Aid lovers. We didn’t actually love Kool-aid, but in those days, Bill Cosby was the bomb and my sister adored him. She played the LP “To Russell My Brother Whom I Slept With” so many times, the whole family had it memorized. Mom often adopted the Kool-Aid moniker to refer to Susan and I.
Aunt Edie sat in the middle, straddling the hump, because if we’d had to determine which one of us would sit next to her, there would have been all out war. We’d grown up enough for Mom to abandon I Spy, Twenty Questions, Travel Bingo Cards and personalized grab bags, but not enough for Aunt Edie to have a relaxing ride in the back seat. Eight track tapes were all the rage, but having a player in your car cost extra, so our Chevrolet didn’t have one. Dad was an AM radio aficionado anyway – because that’s where the sports were. Because of Dad, I have a fine ear for sportscasting. I can tell which sport is being broadcast, just from the cadence of the sportscaster’s voice, even when I can’t hear individual words. Radio is a bit of an adventure on the road, because you have to take what’s available, especially when all you have is an AM radio. When Dad could find baseball or news, that’s what we’d listen to, because he was in charge. 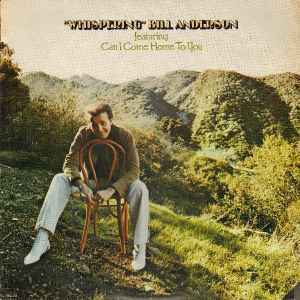 He also preferred country and western music over rock and roll, so if he could tune in Whispering Bill Anderson or Charlie Pride, then that’s what we’d listen to. Thankfully, we’d also go through places where all we could pick up was Top 40 Hits. That’s when Susan and I would perk up and pay attention. Even though I remember the trip as a series of newscasts and sportscasts, highlighted with a baseball games, according to Aunt Edie, the whole trip was one great big rock and roll experience. She claimed each time a new song came on the radio, either Susan or I would shout out, “That’s my song! Turn it up!” and then we’d both bounce to the rhythm of the music. There was something else happening on the radio on that trip, though I didn’t appreciate the significance of it at the time. Much like the Blue Dress incident of Clinton’s day and our current fascination with collusion, our nation was preoccupied with the matter of Watergate. The news was full of speculation, but late in the afternoon, the newscast was so dire that my dad pulled off the road and into a parking lot. 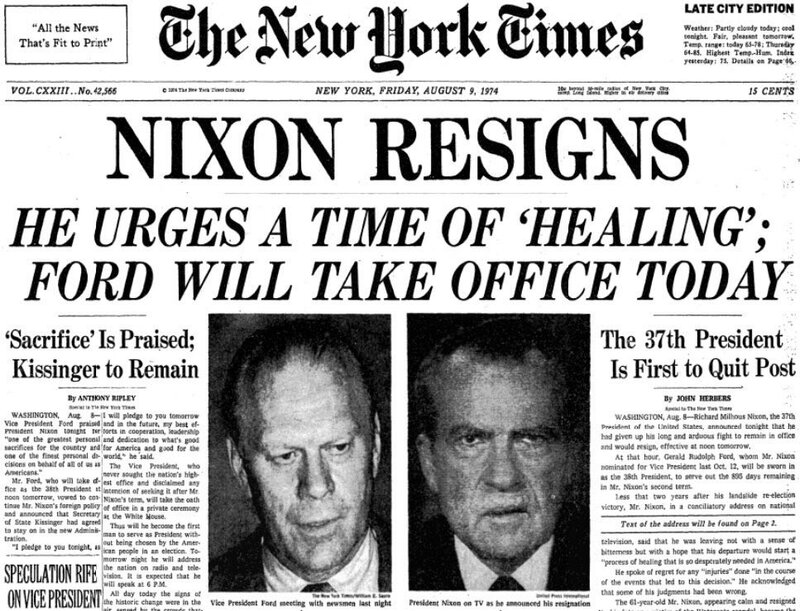 We listened as it was announced Nixon had called a news conference that evening and word was he would resign. My dad cried. And that’s not something that happened very often. He forecast our nation would be forever changed by this and he was right. Looking back from this day to that, it seems as if our nation has been constantly embroiled in some expensive Congressional hearing – Watergate, Iran Contra, Monica Lewinsky, Fast and Furious, Benghazi and now Russian Collusion, among so many others. How much money has all this investigating cost our nation and what good has it really done for anyone? It’s all political one-up-man-ship. What if instead it had been spent on feeding the poor, our failing infrastructure, education, improving our health system? Anything but politicians trying to oust their opponents. I usually avoid political discussions here on my blog, but that day began a new era in American politics. The presidency was vulnerable and you didn’t have to win an election to unseat the Leader of the Free World. It hadn’t been the ill-advised break-in which had led to the popular president’s demise. It had been the cover-up. It had also been technology. He had tapes and it was his own tapes which had undermined his term. Today’s scandals are all about technology. We don’t question whether the Russians used social media to influence the election, but the Mueller investigation is desperately looking for the text or e-mail that proves our president colluded with the Russians, even though collusion is not even a crime. I’ll climb off my soap box. Susan and I didn’t grasp the magnitude of what we’d heard. Our lives had been influenced by other milestones – the assassination of JFK, Viet Nam, man walking on the moon, Kent State and LBJ refusing to run for re-election. These seems like momentous events. Watergate seemed like much ado about nothing. For now, we’re almost to Evangeline County. Come back next week for some crawfish. Has it really been almost two years since my last Travel Bug Tales post? Yep, Novemeber of 2016, so that’s almost two years. Friends, we’ve done a lot of traveling together since then. Instead of trying to explain the Travel Bug sabbatical, I’ll just get busy and pick up where I left off. If you’ve been hanging around here for a long time, then you know, Travel Bug Tales are stories from my pre-blog days – in particular from my youth, when my love for travel first started. If you’ve just shown up in the last year or so, then let me explain. Travel used to be different. You didn’t have a smart phone, flip phone or even a mobile phone. You had pay phones. Hence there was no GPS, no texting, no email and no internet. You just took out on the road with no digital means of support and hoped for the best. Personally, I thought it was a lot more fun. Come along with me to the beach. Right before I abandoned Travel Bug Tales, I promised to tell you about a trip to Padre Island, one of the beaches we visited in Mom’s effort to find a Texas replacement for Myrtle Beach, her favorite place on Earth. For this particular vacation, we traveled with another family. The Smiths had boys and my parents had girls. All the Smith boys, but one, were too old to go on a family vacation and Tracy was my sister’s age. Actually, they also had a son my age, but he stayed home – by himself. I couldn’t decide whether to feel sorry for him or be jealous. I can’t imagine what I would have done at home by myself. I had a car, but I only drove it to school and church. I’d traveled without my parents before, but only on a mission trip and on church retreats. So, while a part of me thought it was pretty cool Kieth got to stay home by himself, the other part of me would have been devastated to miss out on the family fun. Still I was the odd man out any way you sliced it. I didn’t quite fit in with the adults, but I when I spent time with the kids, I knew I wasn’t a one of them any longer either. The picture of me standing alone on the beach sums up my vacation perfectly. I didn’t keep travel journals back in the day, so things get fuzzy, but the first stop on this trip was Corpus Christi and it was unremarkable. Next came Padre. While I didn’t love Myrtle Beach quite as much as my mom, I did enjoy the days we spent in the Lides’ beach house and getting up early to comb the receding tide for shells. We three kids, Susan (my sister), Tracy (the Smiths’ son) and I, got up very early on our first morning in Padre. Light had just begun to suggest it might appear as we hit the beach with our buckets. Nada! Not so much as an interesting rock. I was so frustrated I was almost in tears. No big deal, I was a teenager. Tears were always at the edge of erupting. This was only the beginning of my frustrations. Perhaps this trip may begin to explain why I’m iffy about beaches now, when I’d lived for beach time as a kid. I was uncomfortable in my skin. When I threw myself into the enjoyment of the trip, I was met with frustration, like the shell-less morning on the beach. The rest of the time I just wasn’t sure what to do with myself. I can understand, up to a point, why kids live on their phones. I didn’t feel like me on this trip and a phone full of friends would have been comforting. The rest of the trip turned out better. From Padre we went to San Antonio. I never feel odd on the Riverwalk. We stayed in the Hilton which was at the turn of the river and it’s the first time I remember staying in a hotel that upscale. My folks usually opted for Holiday Inn. A highlight of the trip was a riverboat ride. Susan and the adults weren’t all that interested, so Tracy and I made a round trip. Without Susan to tend to, something very unusual in my childhood, I ignored Tracy and pretended I was by myself. It was exhilarating. I was discovering that while I enjoyed people, I didn’t need them to enjoy myself. From San Antonio, the Smith’s headed to Dallas, but we made a stop in Temple to visit my beloved Aunt Edie. Her home was my second home. I was allowed to go for long rambling walks on my own and I loved it. We’d go on fun shopping trips and have laughter filled lunches. So, that was our trip to Padre. Mr. and Mrs. Smith were good friends to my parents, but we didn’t take anymore trips together. It wasn’t their fault that Padre didn’t stack up to Myrtle Beach, but I think it was more than that. No one could replace the Lides for Mom and Dad. The annual pilgrimages to Myrtle Beach began then and suddenly I was left behind, on my own. They’d head to Myrtle Beach and I’d stay home. I would have summer jobs and needed the money for college. I was growing up. There are more Travel Bug Tales, but I’m not sure which one I’ll tell you next. Come back next week and find out where we’re headed.